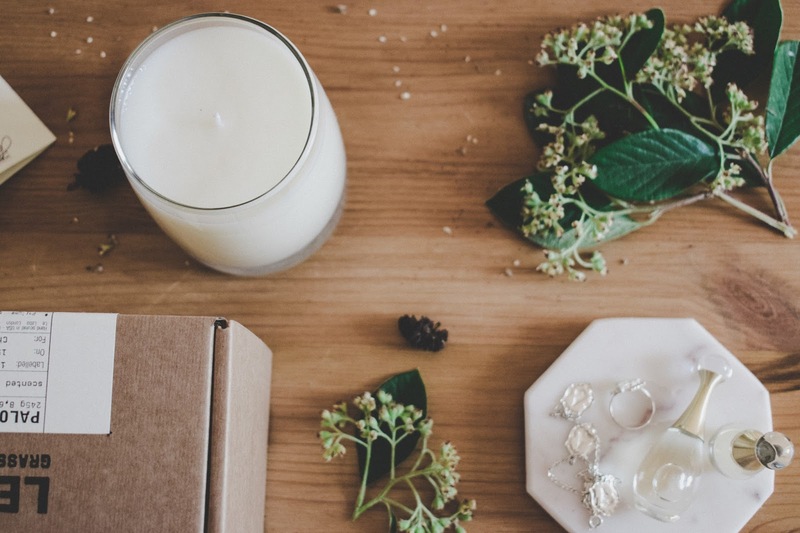 I'm a sucker for posh cologne and candles so I couldn't be happier to write this post. 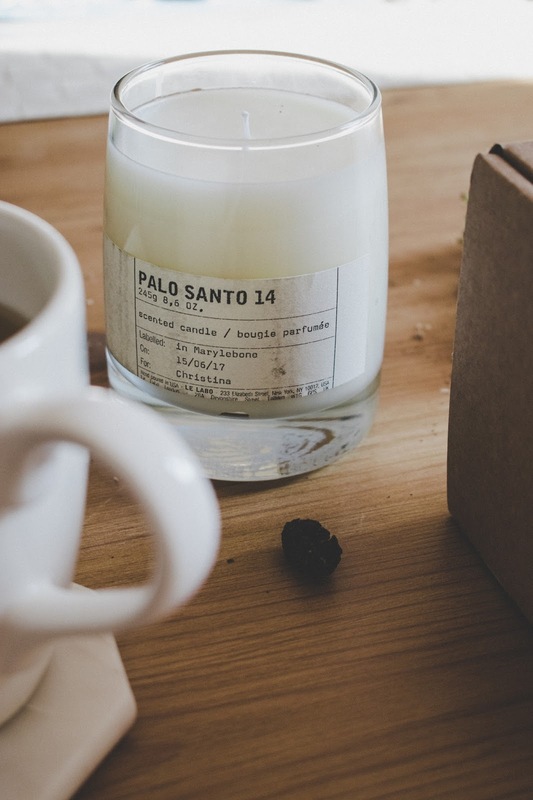 Today I want to talk about and introduce you to the amazing brand that is Le Labo. In summary: the best fragrances, the best manifesto, the best creations. Very french & simplistic, yet urban at the same time. 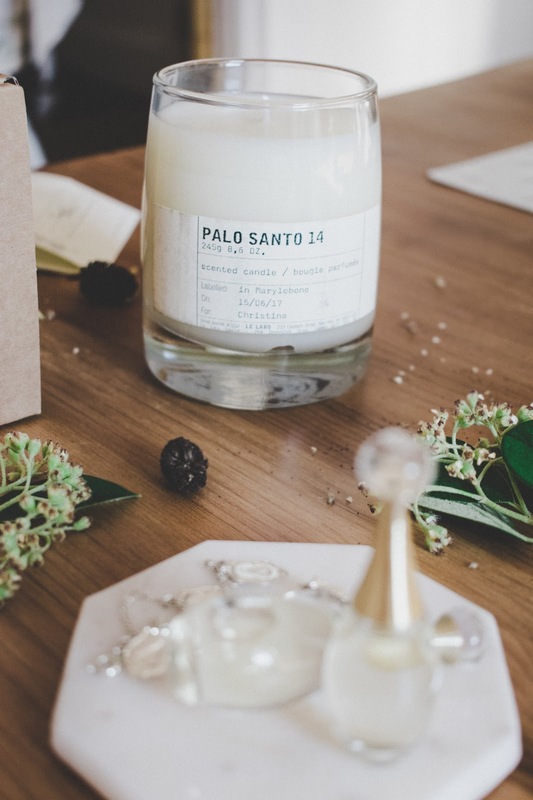 After hearing so many lovely things about the iconic Santal 33 scent, I do confess I was dead curious to find out more about Le Labo's fragrances and oh, am I not dissapointed! 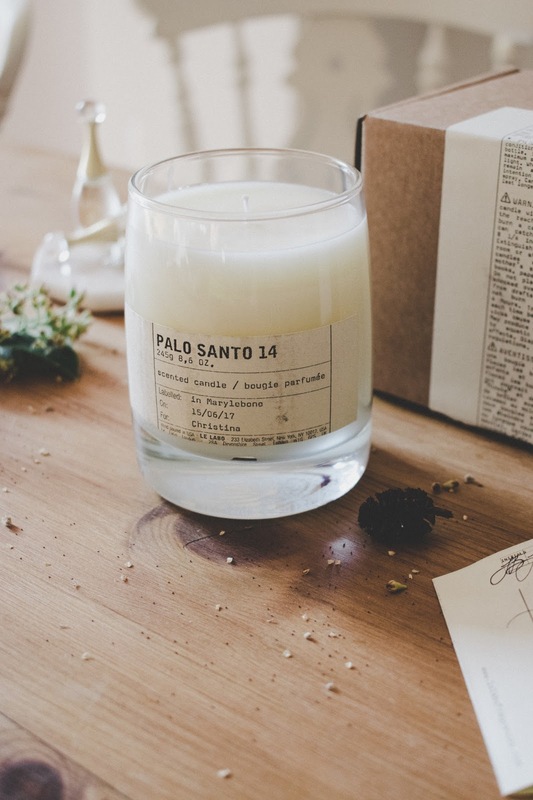 I received the Palo Santo 14 candle which is a mixture of cedarwood, (the flower) labdanum, incense, and more. 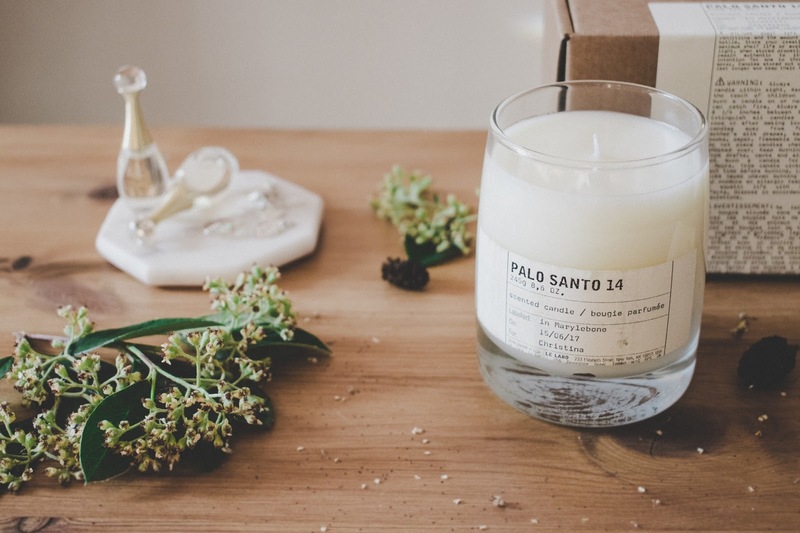 It has a strong rustic base, with wood being the predominent scent. It's slightly masculine, but still sweet. It really reminds me of nature, being out in the wild and exploring. The moss covered rocks, fingers touching fields of lavanders, and barefoot walking in the forest feeling. But also of vintage moments, like typewriting or browsing through libraries filled with books from 1980. It is without a doubt the most intriguing, unique and striking fragrance I've seen. One of those pieces that you either love or hate, no in between. All I can say is that I'm religiously lighting it every single night..I'm in love. Le Labo sounds like a fancy name! The description of the candle sounds amazing. I like how it feels like something ~so relaxing~ and ~free~. Thanks for sharing your experience. Hope you'll continue to enjoy it!